With Meagan’s passion for nails, she always knew that she wanted to be an educator. 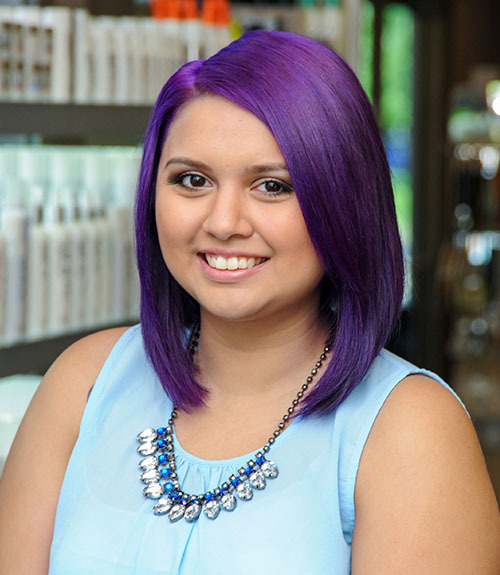 Licensed in 2012, Meagan joined the Simonson’s Salon & Spa team as a Nail Technician in 2014. Her natural ability to mentor her colleagues showcased itself as she continued to support and promote their learning and development. Her goal of becoming an educator came to fruition when she was promoted to a Nail Educator in August 2018. Meagan is proud to assist her colleagues in finding their own success. Meagan recently purchased her first home and enjoys spending her free time with her boyfriend, her two dogs Oreo and Chewy, working on puzzles or watching nail videos on YouTube for more inspiration!